Little Wuk is a malnourished boy. He is two years old but only weighs as much as a few-month-old baby. He was admitted three days ago and received stabilisation treatment with low caloric milk and antibiotics to treat infection. This morning he has started eating ready-to-use therapeutic food. Made from a peanut paste, the therapeutic food is rich in energy, protein, fats, vitamins and minerals. If he gains weight and does not require further treatment he will be discharged in a few days and his mother, aged 29, will be able to take him home with her four other children. This was the first time she had come to the Médecins Sans Frontières (MSF) hospital from her village, and it took five hours, first walking and then by car. Little Wuk’s story is unfortunately one of numerous examples of critical cases the medical team from MSF in Aweil State hospital receives, and they may not see the most severe cases due to the difficulties patients have to reach the hospital from far distances. MSF staff measuring the baby's weight to evaluate potential malnutrition. John is only four years old, but he’s pretty tall for his age. He was climbing a mango tree with his friends, trying to fetch the last fruit of the season, when he fell and broke both wrists. They hurt, but people in his family are stoic so he didn’t complain much. After a few days the pain was intolerable – he could hardly move his hands and his wrists were swollen. His parents decided to bring him to the MSF hospital as they knew he would be treated well. John waits without complaint in the assessment room for the team to take care of him. John slowly moves his fingers as he and his parents answer questions from the staff. He will have an X-ray and be assessed on the need for surgery. The operating theatre is an essential part of emergency health services for women and children in Aweil. The hospital also deals with epidemic emergencies. For example during a measles outbreak in 2016, the MSF team treated patients and organised a vaccination campaign. The campaign reached 18,460 children between 6 months old and 5 years of age. In addition to the paediatric department, the hospital also operates a maternity service and provides maternity care for standard and complicated deliveries, including emergency obstetrics and gynaecology. The medical team supports several deliveries every week. The shortage of trained medical personnel in South Sudan is one of many constraints to providing healthcare. WHO statistics suggest there were fewer than 200 doctors for the total South Sudanese population of 12 million in 2016. To address this challenge, MSF is welcoming and training student nurses and paramedical staff from the nursing school in nearby Wau. 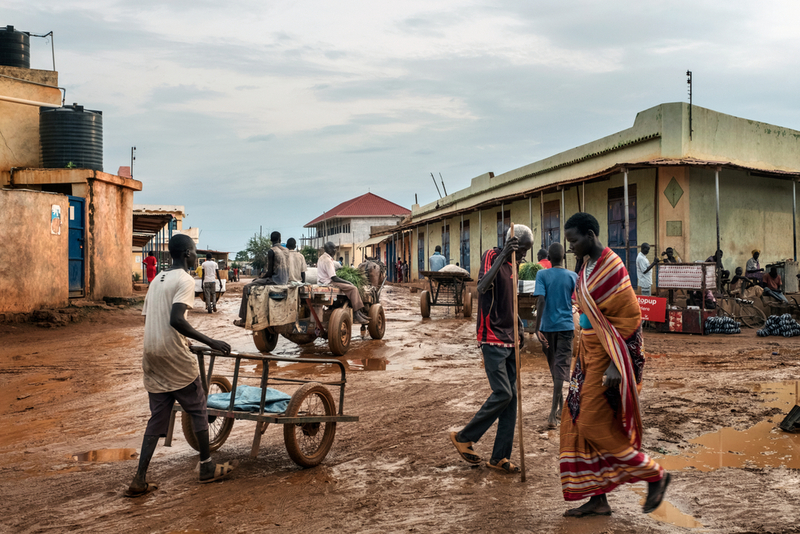 Decades of war and instability in South Sudan have resulted in widespread poverty in much of the country, including Aweil. This has recently been exacerbated by several months of very high inflation. This makes day-to-day survival a challenge for many. 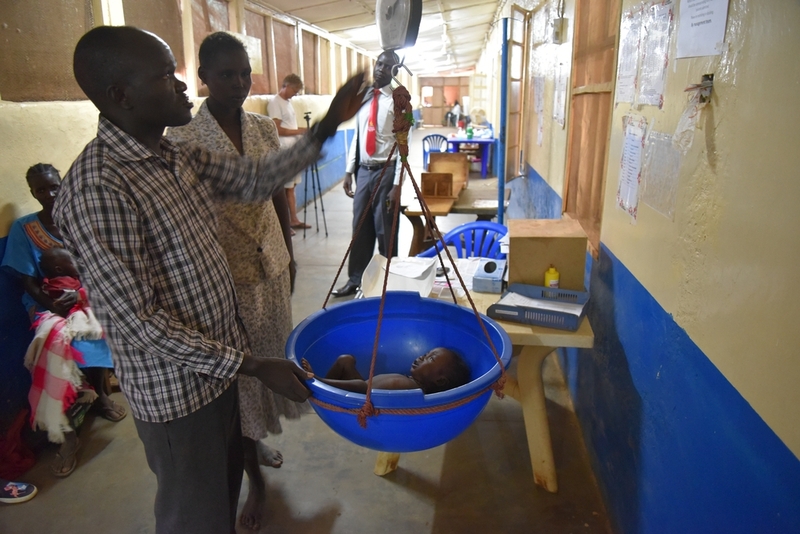 The past two and a half years of civil war did not affect Aweil directly, but the indirect consequence has been that already scarce health services have been further reduced. In addition, the lack of healthcare overall, whether due to insufficient medical facilities, access difficulties due to the absence of transport, insufficient coverage of humanitarian and medical aid, or the recent crippling shortages of essential drugs in medical structures drastically limits peoples’ access to healthcare. These factors represent major challenges to overcome for the population and MSF teams. 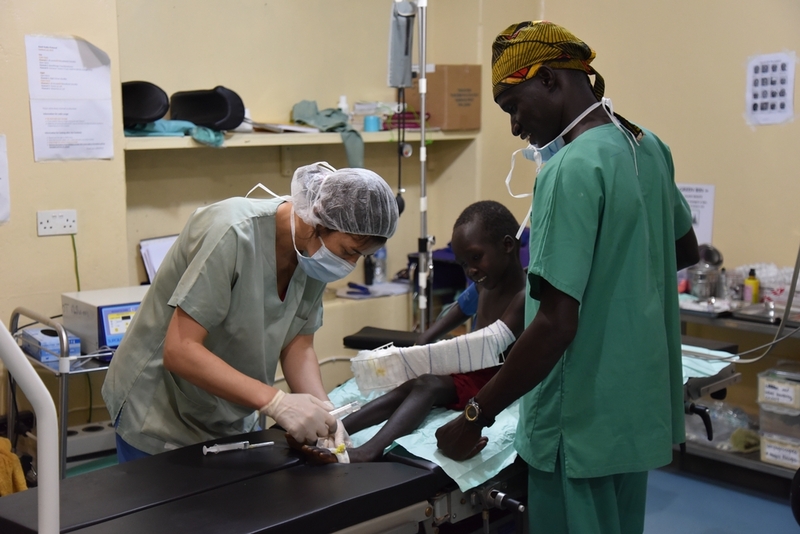 “The presence of MSF’s maternity and paediatric department in Aweil hospital is an essential life-saving service for the population,” explains Florence Okatch.